Authors: Miller S., Víquez C.
Biologia Centrali-Americana p.51, pl.X, figs.7-7a-b. Medium size (total length, 16 mm). 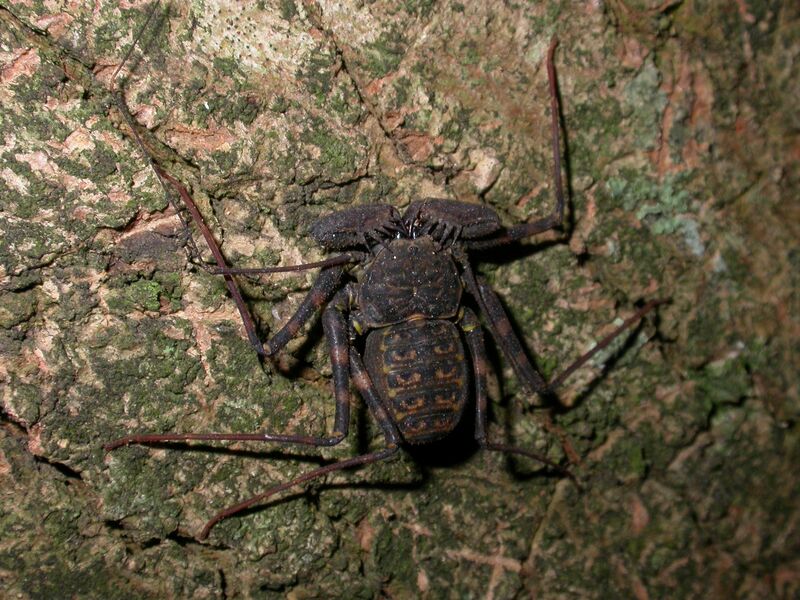 It is one of the two species with the carapace, legs and pedipalps covered mushroom-shaped. The carapace and pedipalps are dark reddish brown in color, in addition, the carapace has red patches and yellow toward the center to the margins, the femurs of the legs have very significant bands. Third spine of the femur of pedipalps (Fd-3) shorter than the sixth (FD-6), Td-5 spine of the tibia, more or less the same size as Td-3, Td-4 longer than Td -2, tarsus and postarsus not separated by a marked suture.